- no server side support needed for editing. Click anywhere in the document to exit video. Vertical text in table cell. Floating tables and text around the table. ASP.NET application to edit original RTF data. Positionable text boxes and drawing objects. Printing without creating the text control. APIs to support repeating fields. 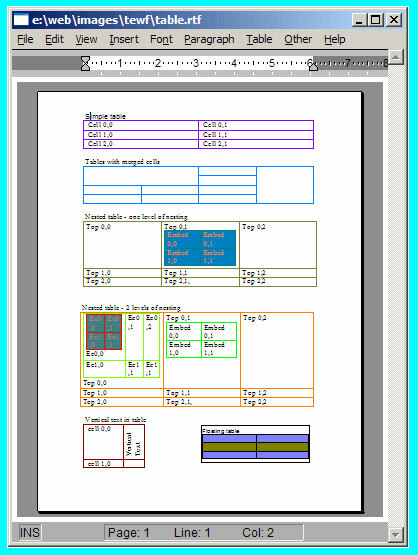 Multiple page orientations within a document. 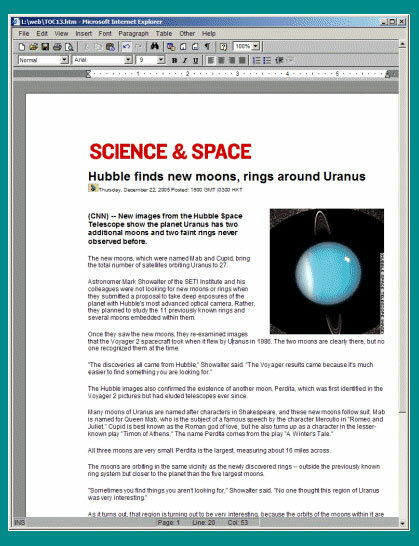 Multiple paper sizes within a document. 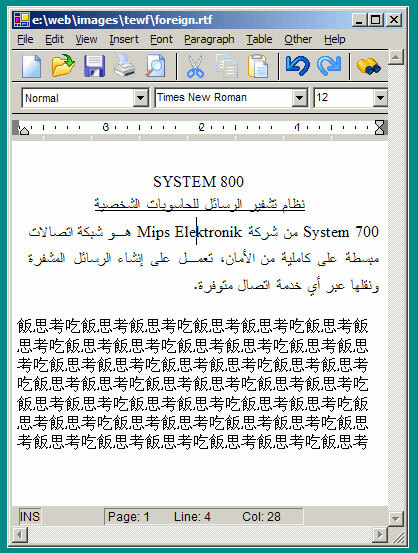 Full functionality server based word-processor. 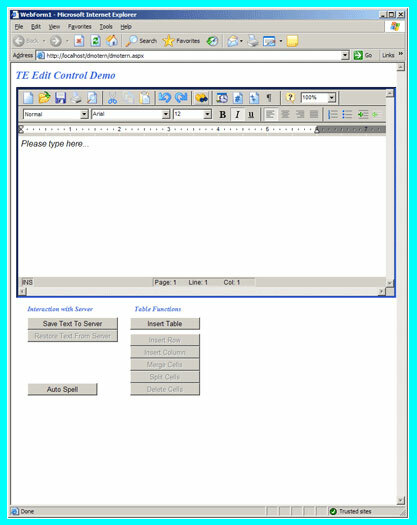 Click here to launch a web-editor demo(Win32/ActiveX based). 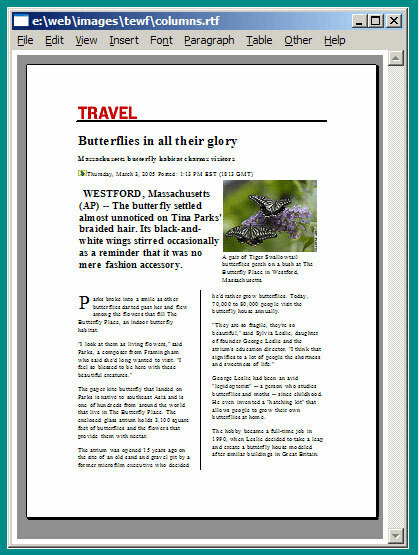 Click here to launch a web-editor demo (Java based Applet). HTML Add-on*: Export and import html text. 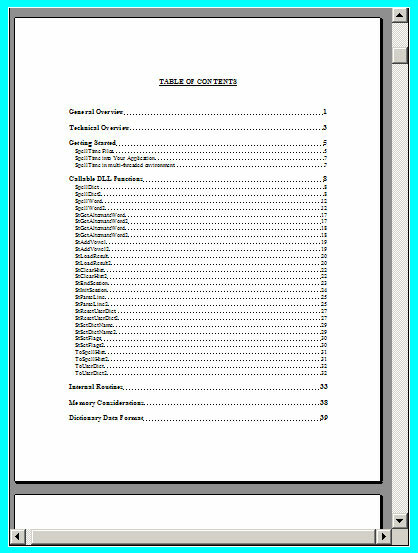 WinPDF Converter*: Export to PDF format. 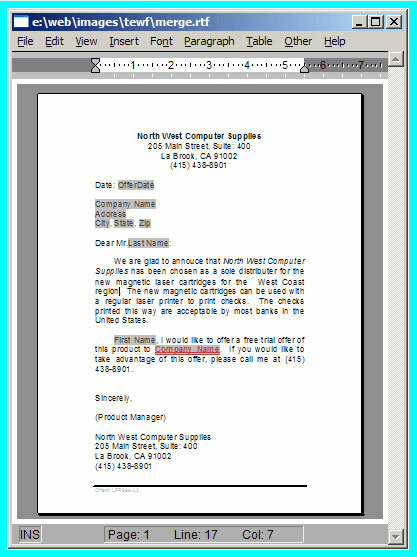 DOC Add-on*: Import MSWord DOC format files. 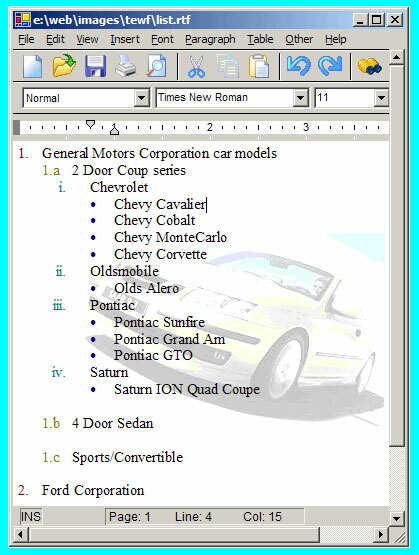 Our rich text editor component can be used for these word processing applications: display rich text, edit rich text, insert, merge, or append rich text, mail-merge, modify rich text programmatically, format rich text, table and nested table processing, track changes, generate RTF reports, print RTF text, list processing, newspaper like columnar text processing, wrap rich text around pictures and graphics, convert rich text to pdf using WinPDF add-on, convert rich text to HTML using HTML Add-on, import doc and docx files, support Arabic, Hebrew, Chinese, and other languages, cloud based rich text processing for Windows and Mac operating systems, and all popular browsers including Mozilla FireFox and Google Chrome and Opera. 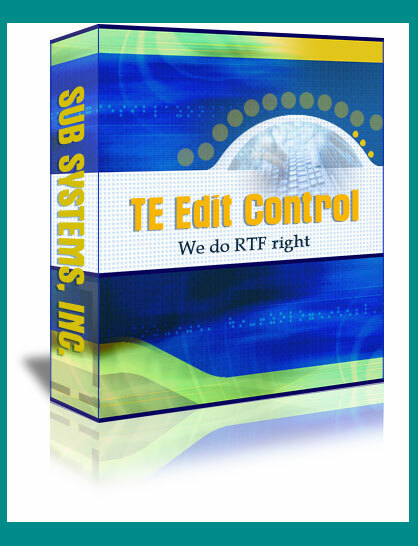 TE Edit Control component can be used with C/C++, C#, Win32, Win64, .NET, Visual Basic, VB6, ASP, ASP.NET, Delphi, Power Builder, Progress, and any environment that can interface with a DLL. 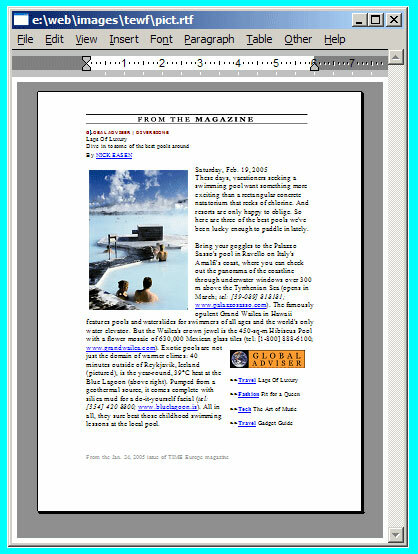 Please click here for a feature-by-feature detailed description.